You have to make item checked if you want to put correspondent toolbar on the Control Panel Window. Actually Control Panel Window consists of two windows: Control Panel itself and Info Window. You can split Control Panel Window in two parts and then join them with 'Dock info' menu item. Menu item 'Status bar' include Status bar for the Control Panel Window. This Status Bar shows description of the Toolbar item on which mouse over at that moment. 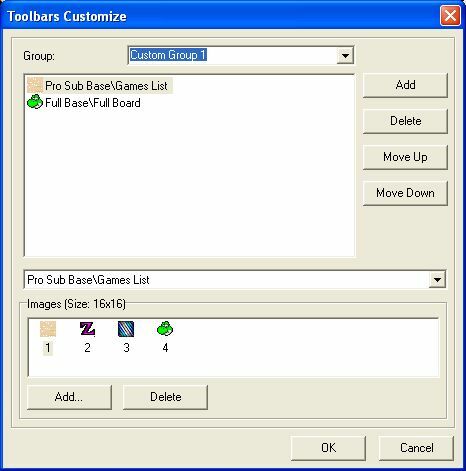 Last menu item 'Customize...' allow user add own buttons for fast access to choosen Games Lists/Fuseki/Joseki.